The state Motor Vehicle Commission has closed its Toms River branch office due to concerns of the measles outbreak in nearby Lakewood spreading. 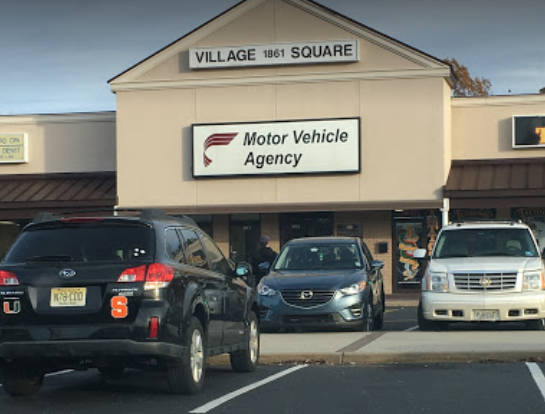 Documents from the MVC, Department of Health and Ocean County Health Department warn that a person who contracted measles had visited the motor vehicle office on Hooper Avenue – one of 11 locations that were publicly divulged. Anyone who was in the MVC office Tuesday, Nov. 7 between 2:30 p.m. and 5:15 p.m. may have been exposed to the virus, officials said. The MVC office has been closed since Monday. A spokesperson said meetings were being held Thursday to determine a course of action on how to eliminate the threat of measles from the building. On Thursday, the state Department of Health confirmed 12 cases of measles had been reported. Mesivta of Eatontown, 1300 New Hampshire Ave, Lakewood, NJ 08701 and 107 East Harvard St, Lakewood, NJ 08701 November 6-November 9. Bais Shalom AKA Alumni, 345 9th St, Lakewood, NJ 08701, November 6 between 1:15 and 6:45 p.m.
“The Department is working in collaboration with the Ocean County Health Department to identify and notify people who might have been exposed during the time the individuals were infectious,” state health officials said in a statement. Anyone who suspects an exposure is urged to call a health care provider before going to a medical office or emergency department, the state advised. Special arrangements can be made for evaluation while also protecting other patients and medical staff from possible infection. “Two doses of measles vaccine are about 97 percent effective in preventing measles,” said Dr. Christina Tan, state epidemiologist.